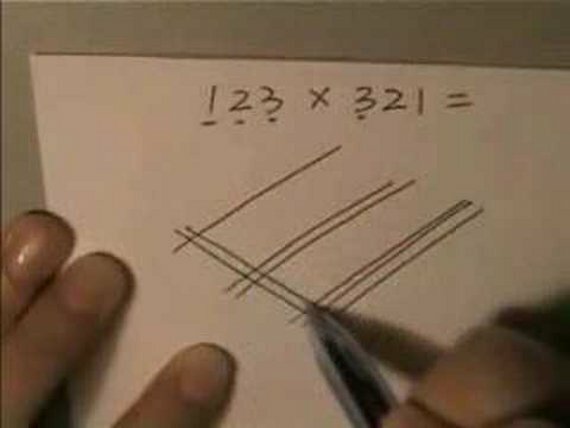 This technique for multiplying numbers involves drawing lines and counting the number of intersecting points. It may not always be practical, but it’s very cool! Though sometimes mistakenly attributed to the Chinese or Japanese, this technique was developed by ancient Indians during the Vedic period. It is very intuitive, yet most people wouldn’t have figured it out in a million years. Check it out below. Know any other cool math tricks? Let me know in the comment section.